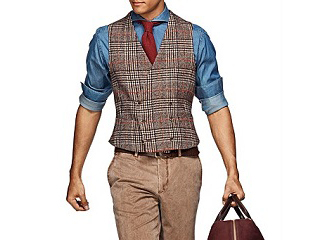 Last week we talked about wearing non-matching suit vests, so this week I figured we’d discuss how to wear a vest in a more casual way. 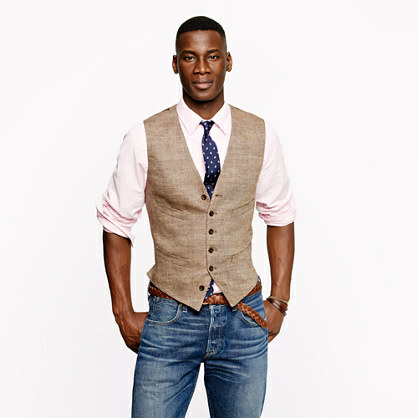 Wearing a vest without a jacket is a fairly bold move, but it’s also offers a lot of payoff. 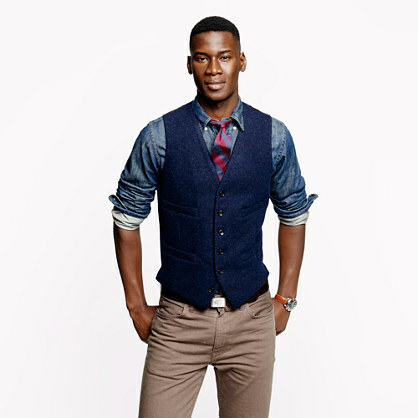 To begin with, if you’re going for a more casual look, the vest should “blend” with your shirt color. 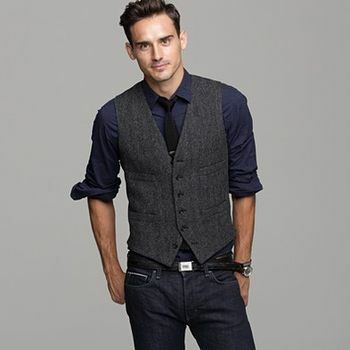 Heavy contrast like a dark vest over a white shirt reads more dressy or formal. 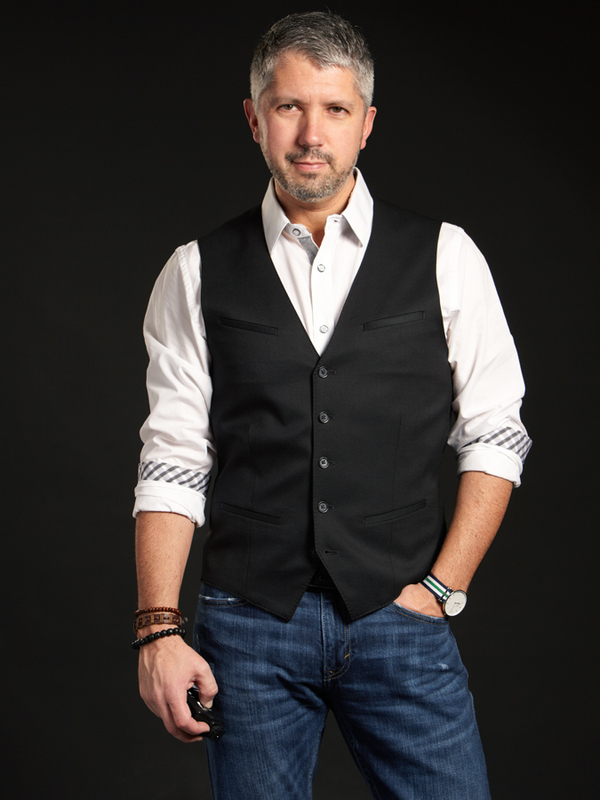 Even though I’m wearing jeans here, the black & white says dressy. 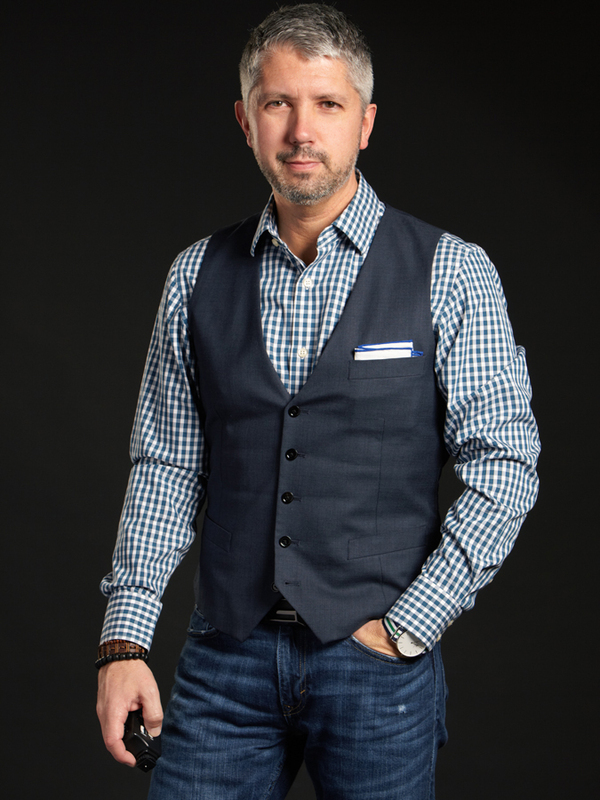 Pro Tip: Never button the bottom button. silhouette. 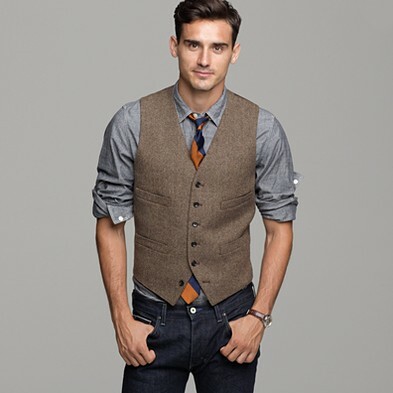 Dressing up your jeans with a nice pair of shoes along with a shirt and vest is a really smart look. 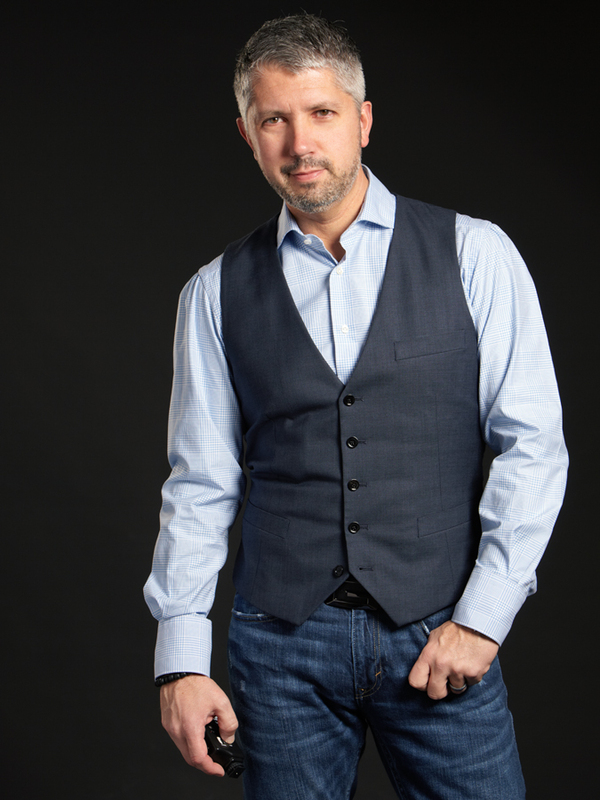 With the Holiday party season in full swing, it’s a way to set yourself apart and show respect to your host. 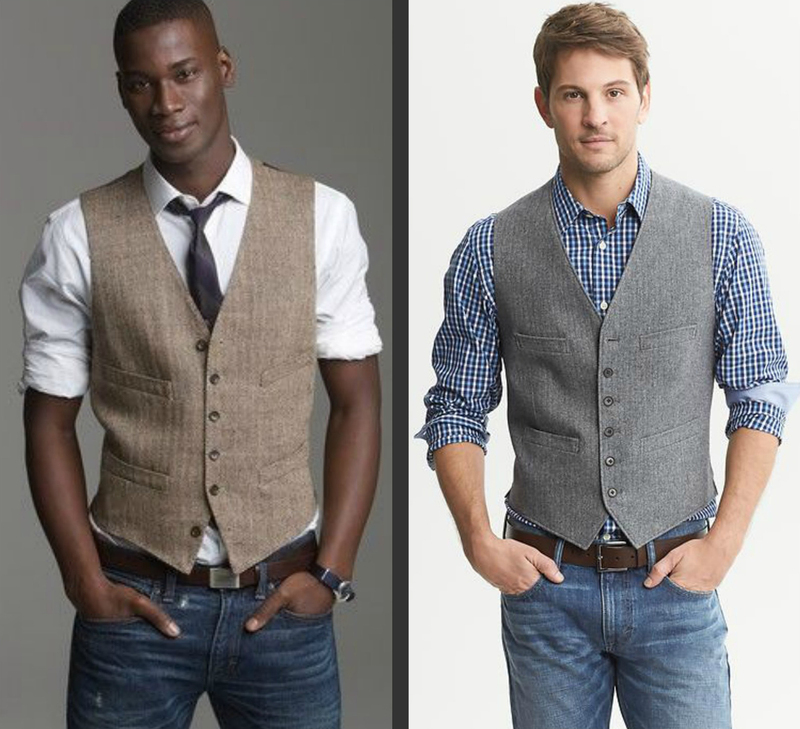 Here’s two more shots showing different ways I wore the same blue vest. 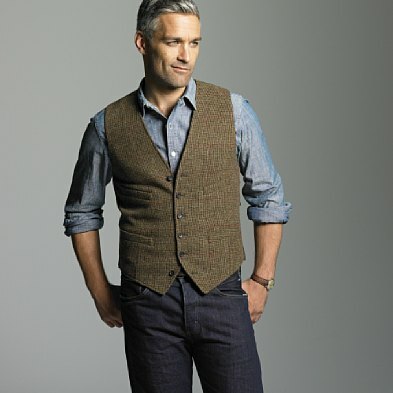 I currently looking for a heavy wool or tweed vest in tan or brown to wear this winter. 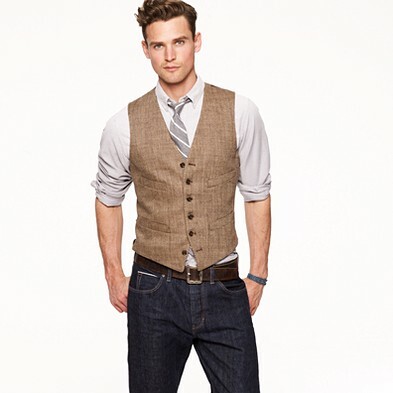 Here’s a few more examples of different ways you can wear a vest.